Welcome to SCUBA News. This week a guest article by Tab Hauser on exactly what to expect on a diving trip to Providenciales in the Turks and Caicos islands. He tells you the best area to stay, how to save on car hire, which dive sites to go for and much other useful information. Hi I am doing a CMAS** but I would like to have double certification to PADI, how can I do it? I am a hse closed bell diver with also hse scuba qualification, is it possible to convert to a paid certificate? The answer is similar to both these questions. To cross-over to PADI you have to pay for a PADI course. 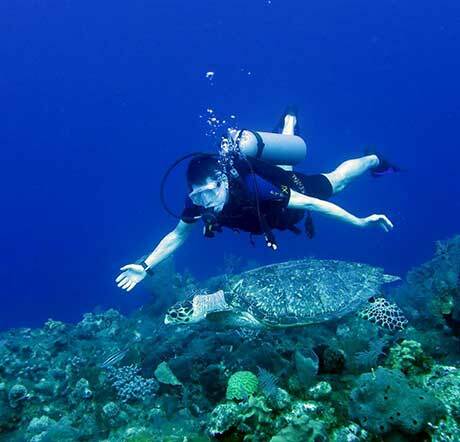 You can choose to the next level up from your current qualification, or if you prefer the equivalent PADI course. So both letter-writers could take a PADI Divemaster or Rescue Diver course. With barely a month's notice a well needed "guys" diving trip was decided for our group. The idea was to pick an easy place to get to, have guaranteed good weather and diving along as well as some needed downtime on a beach. It did not take long to pick Providenciales (Provo for short) in the Turk and Caicos Islands. The Turk and Caicos Islands are part of the British Overseas Territories. They are located south of the Bahamas or 575 miles southeast of Miami. Provo offers direct flights from New York as well as several other United States cities. They are an easy one stop flight from other international destinations like Canada, UK and other Caribbean islands. As our group's average age was 58, some creature comforts were important to include on this trip along with a good location. The best area to stay on Provo is Grace Bay. This fine powder 12 mile long beach offers a variety of accommodations of which many are condo rentals. We picked The Somerset on Grace Bay because of its excellent ratings and location. We stayed in condo (or cottage number five) which is a multi-level luxury two bedroom unit that I would be happy with living the rest of my life in. We opted for this unit because it saved us some money not having an ocean view but was literally only a minute walk to the pool and beach. Somerset is what I would call a boutique resort. It has a nice pool side bar and grill and a magnificent sunset beach with lounge chairs and umbrellas. The location is excellent with no hotel to one side making the beach peaceful. Free bottled water is available at the beach and if you want to use the different water sports equipment there is an $89 per week charge to the cottage. Arriving into Provo is easy. We cleared customs in 10 minutes and had our luggage in another five minutes. For transportation we bypassed the car rental lines. By renting local with Scooter Bob's we walked straight to the parking lot where we had small white SUV with my name taped to the windshield and the car keys under the visor. Attached to the keys was a note to stop by the office and sign the contract on the way to Grace Bay. (You cannot get an easier exit from airport to resort!) Before arrival to the Somerset we did a stop at the Graceway Gourmet to shop for breakfast items, fruit, rum and snacks before checking in. 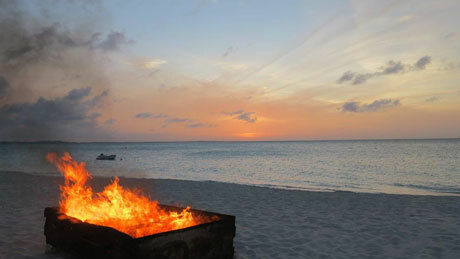 That afternoon we did laps in the clear ocean, happy hour at the beach and got ready the Somerset's beach side BBQ and fire show. We woke up the next morning early and anxious for the diving. Two in our group had not dived in a few years except for a refresher course. For me it was 13 months. We chose Provo Turtle Divers for a few reasons. One is that they were the most responsive when trying to make reservations via email. 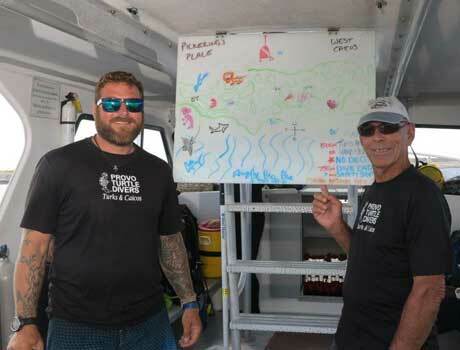 Their rates were in line with other dive companies and we liked the fact they guided divers around. When you have not been in the water for over a year it seemed an easy choice to use them. Rather than use their complimentary pick up service we drove to the office to sign off on the diving. With our email reservations in advance all our equipment was at the boat dock. From the office it was a several minute drive to the south side to the boat. The ownership and staff at Provo Turtle Divers were first class on service and dive gear. If there was a downside to them it was that they were not set up to dive in Grace Bay at the time of our visit. We did not find this is a problem for anyone on the boat with us on all three days. On board we were introduced to the captain and dive masters and then given a safety briefing on the boat. We were told the ride to the western side of the island would be an easy 40 minutes. Diving here like in most places depends on where the winds are blowing and the seas are best. The first day we dived the west side where the first sight was Eel Garden. Our briefing had us go to a maximum depth of 80 feet (25 m) and a map on a wipe board showed roughly what we were diving on. Our briefing discussed air usage as well. He said that the group will not go up when someone is low on air. He said that when a diver reaches between reaches 1000 to 1200 psi (70-80 bar) he would simply make the hand signal for the boat and point to where it was. This way the diver can head back to the boat at their own pace. You were told to try to come up with 500 psi (35 bar) for your safety stop. In order to not allow the tanks to run lower than 300 psi (20 bar) they dropped a regulator with a weight to use if needed during the safety stop. We were pleased with the way they organized this. We have dived in places in the past where guiding was required only to find the dive master trying to send everyone up when one person ran low. In some cases it lead to people just refusing to come surface when they had plenty of air. The first 20 minutes of Eel Garden we swam along the top of a wall. When you looked down you saw into the abyss. We were told the wall drops to 7000 feet. During our dive we viewed the usual tropic fish that the area is known for. It was a perfect first dive to get acclimated back into this sport again as the visibility was 80 feet (25 m) with barely a current. Following the master was good as he turned five different times and various depths. While I like underwater navigation for myself, it was just one less thing to worry about after not being in the water for over a year. My profile here was 83 feet (25 m) for 57 minutes with the last 25 minutes between 50 and 60 feet (15-18 m). As with all our dives over the next few days we had an hour surface break. During the break we were served fresh pineapple, celery and peanut butter, chips and crackers. There was plenty of fresh water and cups to rehydrate. The second dive just a few hundred yards away was called Grand Canyon. Here we dropped to the top of the wall and swam along it. 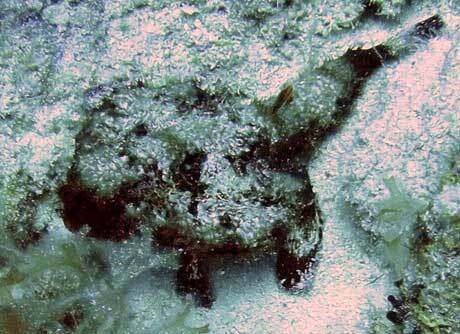 On this dive we were followed for a while by a hawksbill turtle. Profile here had me at a maximum depth of 60 feet for 55 minutes. I found both dives on a scale one to five, a three and half. It was pleasant and easy but the scenery did not wow anyone in my group. The next two days of diving had the weather favour us to go to West Caicos. West Caicos is a small island an hour boat ride away. It took us close to the beach where the abandoned Ritz Carlton sat on. The hotel project was scuttled during the 2008 market crash. Here the diving was much better and was what we expected from being in the Turk and Caicos. We did The Gully as a first dive which had us drop down to 50 feet and swim one behind the other through what looked like a slot canyon between two coral walls. This swim through dropped us another 20 feet. On this dive we saw another hawksbill that went about its business while we took photos of it. Other fish highlights included a beautiful pair of French Angels and a colorful Queen Angel. Our profile was 84 feet for 50 minutes. The second dive was nearby called Magic Mushroom. Here we dove on the top of the wall with the group staying at 60 feet staying down 55 minutes. This area had nice coral heads and lots of fish which included a large blue queen trigger fish. For our last day of diving the boat went to Pickering Place. This spot was named after our boat caption Art Pickering who was one of the original dive organisers in the 1970's. This was another wall dive where we started at 80 feet but averaged out at 60 feet. We saw eels, lobster and plenty of fish. What made this dive unusual was the clicking and occasional high pitch sounds of dolphins communicating with each other. While we heard them pretty clearly most of the dive, they were nowhere to be seen. The sixth and last dive of our stay was a few hundred yards away called the Rock Garden. This second dive had us at 60 feet and lasted an hour. Besides all the nice coral here we spotted an eagle ray, giant mackerel, stone fish and unusual rough neck batfish that appeared to standing on small legs. As we were to fly the next day our dive masters recommend a last five minute safety stop at 15 feet. During our stop a few large barracudas came within a few feet of our masks as to say goodbye. Provo has a variety of places to eat. These range from casual to upscale. We kept it casual during our stay. A "must go" place for lunch of dinner is called "Da Conch Shack" located on the beach. This is an informal restaurant specializing in local tastes. It offers seating under the palm trees or in the shade under the awnings. The conch here cannot get any fresher as we saw one person taking it out of the shell and then sending it to the kitchen to be cooked. Two of us shared cracked conch, conch fritters and conch stew while the third person had a delicious crispy snapper. The menu also has other local tastes besides seafood. There is a fine rum tasting menu as well as frozen drinks and cold beer to go with this good and reasonably priced food. Keep in mind that this place has gotten popular since our first visit in 2008. During this trip they had a bad band and a cheesy one man acrobatic show. I would call in advance and go when you can enjoy the natural ambience of the place. Another dinner was at Mr. Grouper just up the road from the Somerset. This place also specializes in local flavors with open air tables. Diners on here were a mix of islanders and tourists. We enjoyed the grouper and snapper served in different styles. A highlight for dining and mingling is the Thursday evening Fish Fry at Bight Park. No one should miss this food and music event. Here different food vendors (some from established restaurants) serve up three or four types of dishes. You will find conch, shrimp and fish served different ways. There is also jerk chicken, ribs and burgers. These dishes are usually served with mac pie, rice and beans. There are stalls for local tap beer, rum punches and a place that served a potent drink in a fresh pineapple. When you are finished eating well and on the cheap you can linger to the life music. We recommend arrival no later than 6:30. Provo can be a place for non-divers in any group. 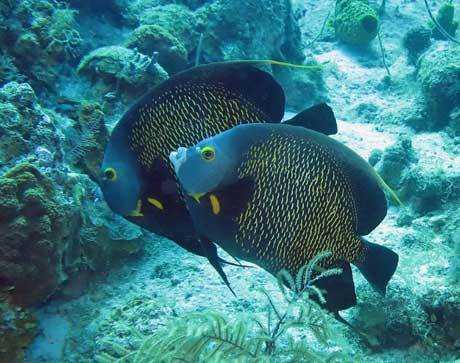 There are several boats that offer snorkel strips in Grace Bay and visits to Iguana Island. Some of them will stop to snorkel for conch where they will cut it up in a ceviche and serve it up. For beach side snorkeling take the dirt road to Malcolm Beach (but not after it rains). Here you will find decent reefs if you swim out a little. The only piece of civilization in this area is the exclusive and expensive Amanyara Resort less than a mile up the beach. What makes Malcolm Beach unique is that it gives you a fine powder sandy beach with good snorkelling just off shore and some solitude. When we visited the beach we were the only people there for the first hour until joined by another couple. This place seems to remain empty perhaps due to everyone content with staying on Grace Bay or maybe due to the rough road getting there. If you have a car you can explore the island on your own. It is not the most scenic of islands but there are places to drive to. 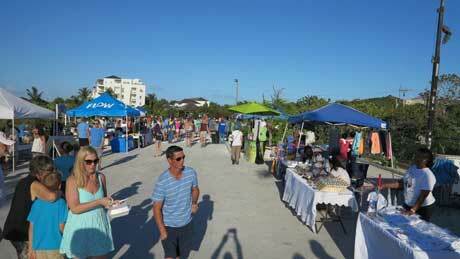 Our self-tour had us go slowly through the main street by Grace Bay where you will find restaurants, bars and shops. Continuing east we stopped at the Blue Haven Resort and Marina to have a look at the large yachts near the hotel. We continued southeast a few miles and poked our nose into the Conch Farm that is expanding into a fish farm. (We just missed the tour but you get a feel of what is going on without the history from the rear deck and signage.) From the Conch Farm we drove west and south to see the deserted Long Beach Bay and the development that is going on there. We continued west by the airport and headed south to the road that goes to Chalk Sound Bay. This is a narrow and long peninsula that has good views of the sound on one side but no beach access anywhere on the ocean side due to the large homes that are along the road. From Chalk Sound we headed back up to Grace Bay. If you have not had enough with being on or below the water during the day we recommend a sunset cruise with one of the several companies in season that offer music, snacks and a weak rum punch. During an early visit we lucked out as it was a "glow worm" night. Glow worms only come out two nights after a full moon to mate. After the sunset the captain goes up the channel near the marina where we waited for the first fluorescent green creature to float up in the dark water. What we saw was a brightly glowing worm about the size of a child's pinky just appear on the surface. Usually seconds after it appeared you would see a disturbance in the water speeding towards or around it and then pop, the creatures color would explode to what looked like millions of tiny dots in the same fluorescent bright green. In reality what we saw was a female releasing thousands of eggs in what looked like a mini galaxy exploding on the water. This unique site did not last more than 20 minutes before it was back to the dock. Evening entertainment is "thin" in Provo. One of the things we liked doing was to visit some of the better hotels at night that had nice outdoor bars. We would have a drink and move on to the next hotel. If they had music we would stay for a set. When you arrive on the island pick up the local tourist book that gives you updates on what is happening. I recommend avoiding the underwhelming casinos. For a quiet night you can never go wrong by walking the beach at Grace Bay. The Somerset On Grace Bay: www.thesomerset.com . We liked "Cottage 5" as we found it spacious, and perfect. We rented a small 4 X 4 from Scooter Bob's. www.scooterbobstci.com. You will not find an easier, more laid back, person to deal with. Our vehicle was $70 and found it worth it because nearly everywhere we wanted to go the taxi fare was about $12 per person. That makes one taxi ride for two people costing more than half of the price of the rental and having the rental would allowed us to explore the island as well as having different dining options. While I have a lot of experience driving on the "other" side my secret to keeping me focused is to put a post it note on the windshield with "Think Left" written on it. Providenciales is a laid back and a relatively safe place. Crime is not an issue but use common sense like not leaving valuables in a car that can be seen. One local told us he leaves the car unlocked and with nothing inside. Because our 4 X 4 had no closed trunk we hid our valuables in the engine compartment when we were off snorkelling. While we were not worried about getting broken into, out of sight, out of mind is always best. We found walking on the beach at night perfectly safe and a thing to do. Water is perfectly safe to drink on this island and tastes good. Other common sense facts here would be stay hydrated and sun screened. While mosquitoes were not a nuisance we found that a little spray on our legs while sitting at dinner was needed when there was no breeze. Lastly, we did not see "island time" to be as a problem here as other places we visited in the past. Dinners were usually prompt enough and we did not mind waiting the extra time anyway while sitting and enjoying the atmosphere. Power is DC 110 and they use U.S. dollars. Dinner dress at all places is island casual. Tab Hauser is a freelance journalist, photographer and traveller. His web sites are at www.tabhauser.com and www.tabhauserphoto.com. Malaysia has created the Tun Mustapha Marine Park - its largest yet. In the coral triangle, the new park will help protect almost 1 million hectares of coral reef, mangrove, seagrass and fishing grounds. More than 50 islands are in the marine park. 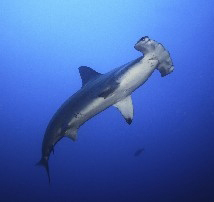 Good news for Indonesia's shark sanctuary: sharks and other fish are more abundant within zones with fishing restrictions according to a new study. It's a plastic plague. More than a third of fish in the English Channel are now contaminated with microscopic plastic debris from exfoliating skin scrubs, synthetic fabrics and other everyday products. One use for a robot like this is during underwater search and rescue operations. The robot modules could split up and search for survivors and recombine to lift heavy objects and open a passageway. 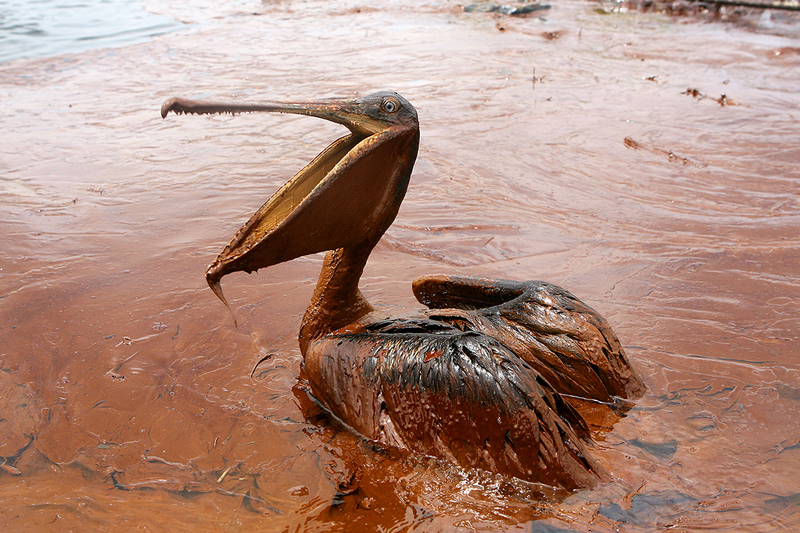 Magnets could be used to pull oil from spills out of the water, with the help of iron oxide nanoparticles. The most popular diving book in recent years is out in a new issue.